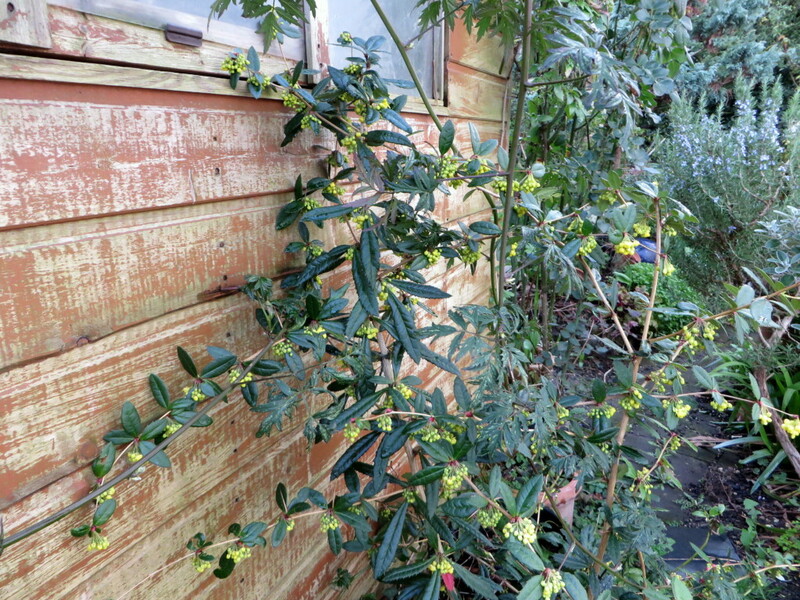 Home › Forums › Gardening Questions › Is this Mahonia? This topic contains 7 replies, has 4 voices, and was last updated by gertie 1 month ago. I have, at last, flowers on a cutting I struck a few years ago. 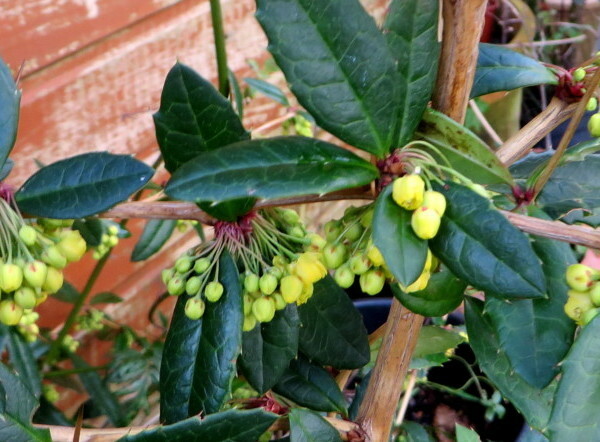 Is it mahonia please? … this is another picture …. Could be the US one, Anne: Mahonia aquifolium. 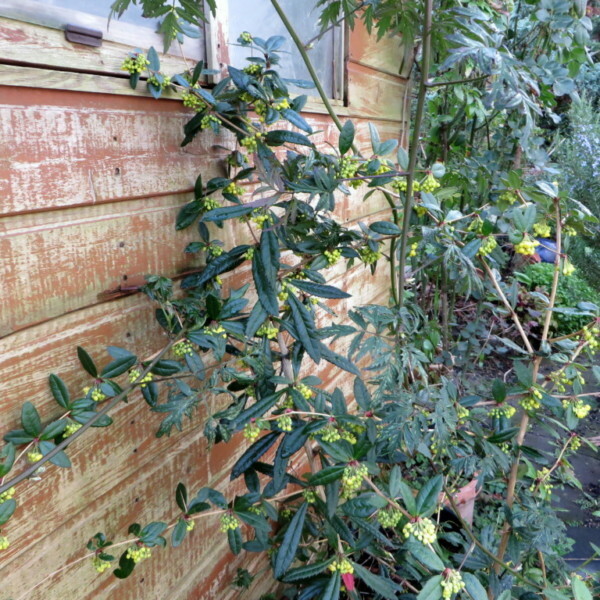 I had this one when I lived on my own and I much prefer it to mahonia Charity. Ah, thank you Jenny I noted yesterday that it has split its pot, so I must dig it in soon. Don’t want to lose it after so long waiting as it grew from a twig! !